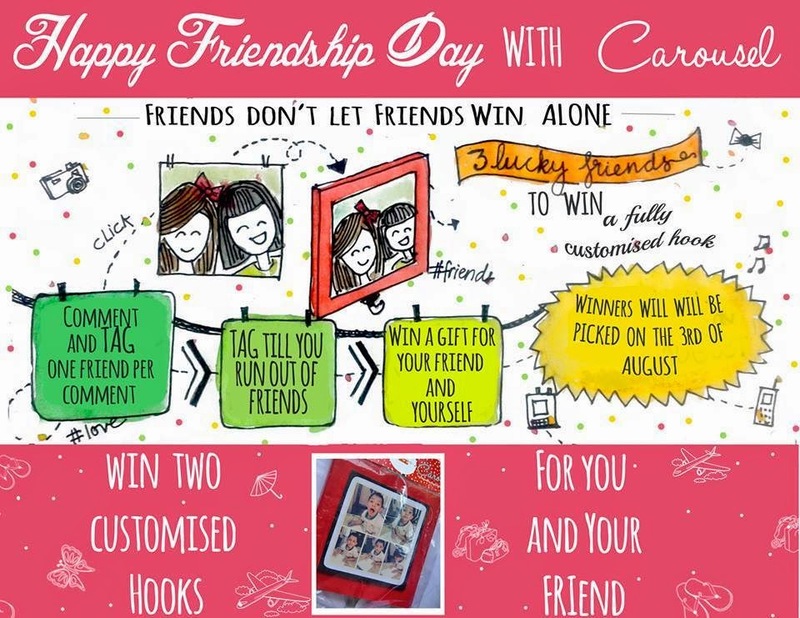 On Carousel's facebook page, Tag ONE friend per comment -> Win ! On Friendships day, THREE comments will be picked randomly. The person who comments and the friend who is tagged, both win! Put as many comments as you want. BUT you can tag only ONE name per comment and same friend only once per day! Tag your chuddy buddies, ask them to tag you back! Friends don't let friends win alone.. If you win, you and your friend can design your gifts! Random comments will be picked three times on the 3rd Aug using the Woobox app. Atleast one of the winners has to be an Indian resident. Delivery will be made within India. Comments that do not follow these rules will be deleted.